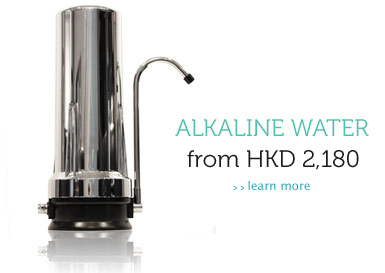 Fight the aging process with antioxidant-rich alkaline water. Without sounding too scientific, ORP (Oxidation Reduction Potential) is used to measure the level of oxidants or antioxidants in a liquid. Positive numbers are destructive to living organisms, that's why you want the public pool to be +. But, we want to protect the living organisms inside of us, so we should drink fluids with a negative ORP. Our natural (non-electric) alkaline water process creates an antioxidant-rich ORP level of up to -500. Toxins are the number one cause of aging and are often a result of poor diet, pollution, stress and inadequate hydration. Toxins can build up in your body causing cell damage that leads to premature aging. One of the best ways to detoxify, is to simply drink water designed for the body and its highly efficient waste process. Our water hydrates like no other and because it's flush with antioxidants, you know you get the good in and the bad out. "Since drinking this water I have shed 15 pounds in all the right places. I have more energy, people say I look 5 years younger and I agree." "The kids love it and no longer want the sugary stuff and I’ve noticed a big energy boost as well." "I felt like it was rocket fuel, that I, all of the sudden, had all this energy"
Reading, researching and listening to others about the benefits is great but at the end of the day - it's all about experiencing it. Other than finding something that could significantly improve how you feel, what do you have to lose? Visit our shop for more details and start your journey today.